Get ready for Milwaukee Day! Tomorrow is 4/14, also known as Milwaukee Day after the city’s 414 telephone area code. You can read up on all the day’s special events here. The activities range from a giant happy hour to the ringing of the City Hall bell. So rarely is the bell heard that few people know it exists. But in the days when it regularly tolled the City Hall bell could be heard in Thiensville, 30 miles away. Cast in bronze and weighing 10 tons, the bell was hoisted into position in 1896 by four men turing a capstan winding a rope around a cylinder. It took 16 hours to raise the bell to its perch, 200 feet above street level. It has rung only infrequently since. 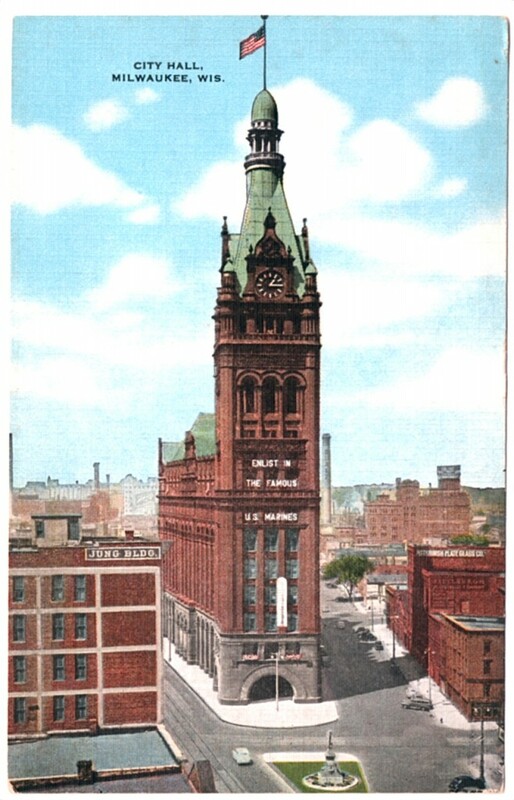 In 1909, the bell, originally known as “Big Ben,” was officially rechristened “Solomon Juneau.” To get in the 414 mood, take a moment to read about the real Solomon Juneau, the big-hearted French-Canadian fur trader who founded our city with considerable help from his remarkable wife, Josette.